will Get You Closer to the Hole Every Time! Your Friends Will Start Calling You “Mr. One Putt”! IMAGINE… getting your ball so close to the pin, you’ll get a “gimme” on almost every hole! IMAGINE… chipping it in from the fringe – effortlessly, like you see the pros do! IMAGINE… shaving 10 strokes off your game without even worrying about lengthening your drives OR honing your putting skills! Well it’s time to stop imagining because the secret is in your short game – around the green. Just by concentrating on your chipping you can become a near “scratch” golfer, even if you can’t drive the ball more than 200 yards! Now imagine doing all this without hiring a teaching pro… without using a swing trainer… and without spending endless hours on the range! Golf University in conjunction with PGA Tour and One Asia order of Merit winner Andre Stolz have created a chipping solution that will build greater Consistency and Confidence in your game and it’s called the Chipping Mastery Program and it’s the secret to your Pin-Point Accuracy, Control and Consistency with your Chipping. Andre is one of Australia’s most popular professional golfers, is a regular guest on the Golf Getaway television show and is the resident touring pro at Golf University. 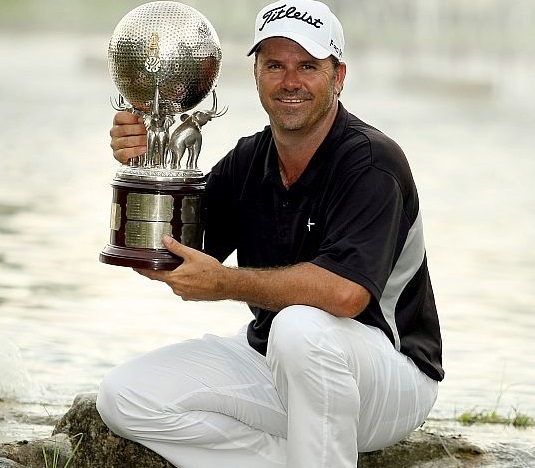 Andre has played and won 10 events worldwide on the PGA Tour of Australasia, European, Japan, Nationwide, PGA and One Asia Tours, including winning the 2004 Michelin Championship in Las Vegas, the Thailand Open, Indonesia PGA and was the 2011 One Asia Order of Merit winner. Now we’ve turned the camera on him and he’ll share his secrets about how he mastered the very delicate art of chipping his way to his victories. Remember: You will benefit directly from Andre’s instruction for less money than you’d pay for a lesson with the average golf pro! Pre-Launch Discounts on all of our Golf University Programs – such as the Pitching, Putting, Bunker, Iron, Driving, Hybrids, Shot Shaping, Inner Golf, Tough Shots, Distance, Golf Fitness and Flexibility Mastery Video Programs created with some of Australia’s and the world’s leading golf and performance coaches. We’ve been told we’re CRAZY to give away so much for so little. But as you’ll see, it’s all worth it to help make YOU a better golfer! And at Golf University that’s our mission and our passion. 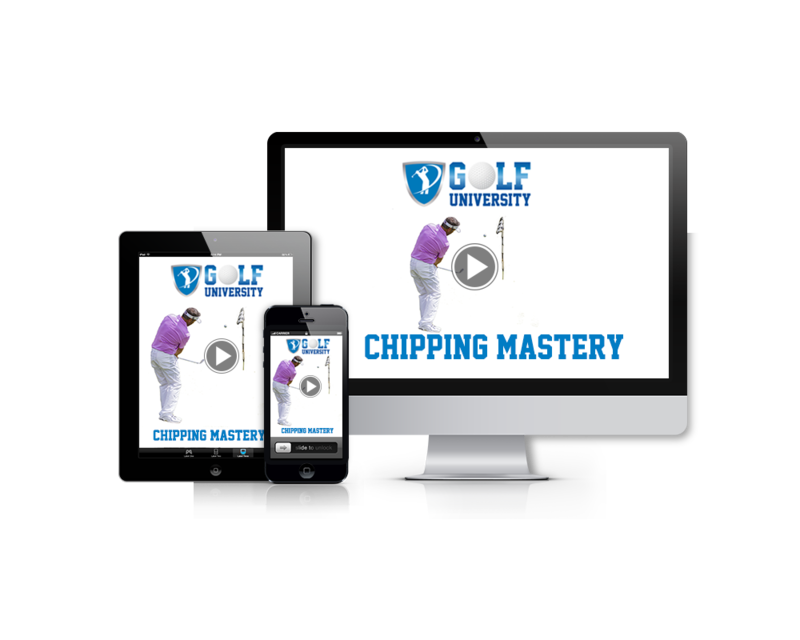 The Chipping Mastery Program is accessible on the internet, on your Personal Computer, iPad / Tablet and/or Smartphone, which means you can watch the videos at home, the office or even at the golf course, 24 hours a day – 7 days a week. 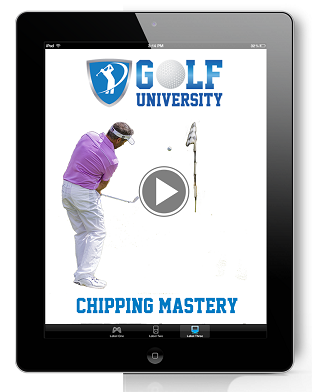 Think of the Golf University’s Chipping Mastery Program as like having your own Personal Golf Pro! This offer is only available for a limited time so don’t delay – simply click the link below for full access. Finally you have found the solution to increasing the Consistency, Control and Confidence with your Chipping – its called the Golf University Chipping Mastery Program. “G’day Mirror, just thought I’d let you know that the Chipping Mastery Program came just in time! I just finished competing in the National STABLEFORD Tournament for Vision Impaired. On day one, I couldn’t put or chip and ended with 33 points. Hit it well off the tees and with my fairway woods but went to water around the greens. That night (last night) I looked at Andrés first video and when I got to the course this morning I practised what I saw. It worked with devastating effect as I scored 50 points to take my total to 83 and won the tournament by 2 strokes. That’s a 52% Increase in Stableford Scoring in less than 24 hours! “Thanks Andrew : my short game has gone to a new level just being more positive and following Andre’s set up video.